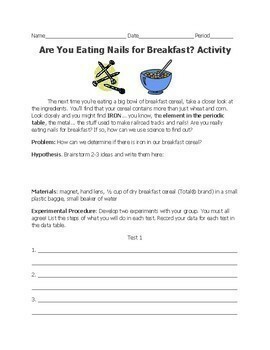 This 2 day EYE-OPENING, FUN, and INTERESTING lab activity challenges students to prove there is REAL IRON in cereal by designing and conducting their own experiments to prove magnetic fields exist between objects!!! 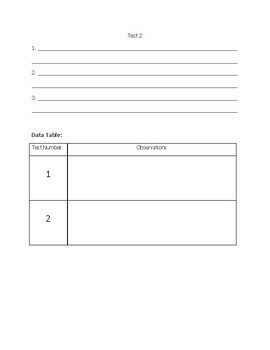 It addresses the NGSS Performance Expectation through the Science and Engineering Practice of Planning and Carrying out Investigations: MS-PS2-5. Conduct an investigation and evaluate the experimental design to provide evidence that fields exist between objects exerting forces on each other even though the objects are not in contact. Brainstorm, design, and conduct two experiments using provided materials to extract iron from cereal and collect data. 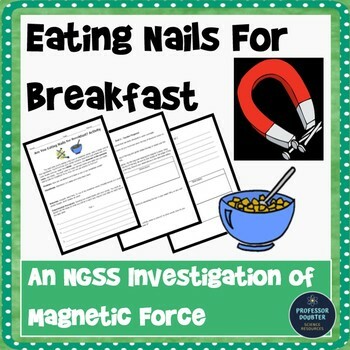 Answer conclusion questions by evaluating, reflecting, and connecting to magnetic fields as well as why iron is needed in your body! It also meets the DCI: Forces that act at a distance (electric, magnetic, and gravitational) can be explained by fields that extend through space and can be mapped by their effect on a test object (a charged object, a magnet, or a ball, respectively). Looking for assessments for MS-PS2 standards? Follow my store at this link to stay up-to-date on my latest NGSS resources! Click here! Looking for other NGSS lessons, units, activities, etc.? Check out my store for more here: Store Link. 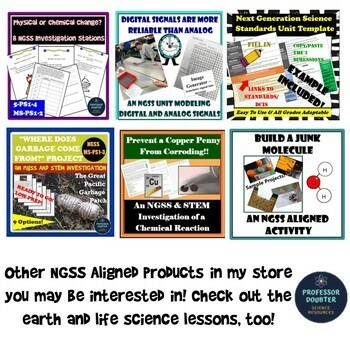 Buy the bundle to have access to all NGSS resources!